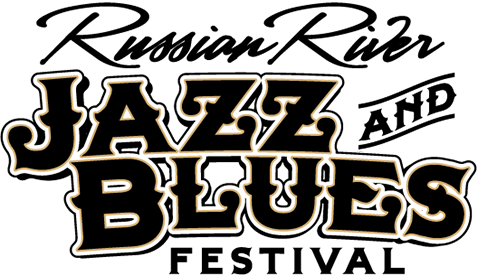 Russian River Jazz & Blues Festival, held at Johnson’s Beach in Guerneville, is accessible to all guests, including those with disabilities. Johnson’s Beach has been a family-friendly venue since it opened in 1918, and the grounds are a combination of hard-packed dirt, sand and river rocks. If you have any questions or need assistance during the event, please visit any of the five ADA INFO locations for assistance; refer to the Site Map for ADA INFO locations. The festival does not own or manage any parking lots for customers. There are a limited number of ADA parking spaces available throughout the City of Guerneville. Please be advised that local law enforcement will enforce all parking regulations; ADA placards should be properly displayed. 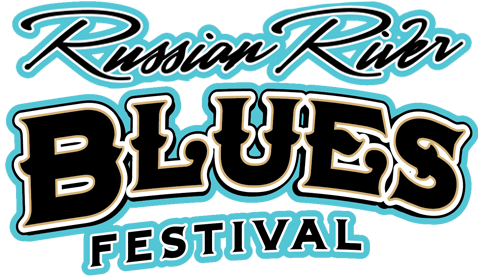 All general admission customers will enter the festival through the Main Entrance, from the corner of Church Street and First Street. Upon arrival at the festival, you will see that Church Street contains a downward slope. 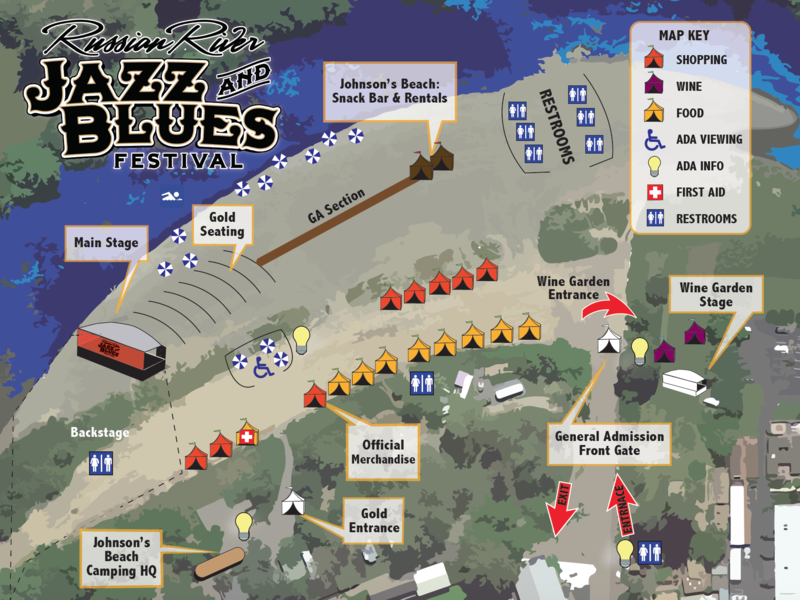 Gold ticket holders can enter through the Main Entrance or also the Gold Entrance, which can be accessed through the Johnson’s Beach Campground (via First Street). The Gold Entrance also has a downward slope. An elevated viewing area for our patrons with disabilities is located in the General Admission area near the Main Stage. Limited seating is provided in this area, so we encourage patrons to bring their own seating, especially if they will be attending the festival with companions. If you require a chair, please let us know. Accessible restrooms will be located on the festival grounds for our patrons with disabilities. Please see our Site Map or visit an ADA INFO location for directions. Typically, animals are not allowed at Johnson’s Beach, but an exception is made for patrons with service animals.